Poultry Farming can be a great way to increase income with your chickens, but there is a lot of information to learn before endeavoring into a profitable business. 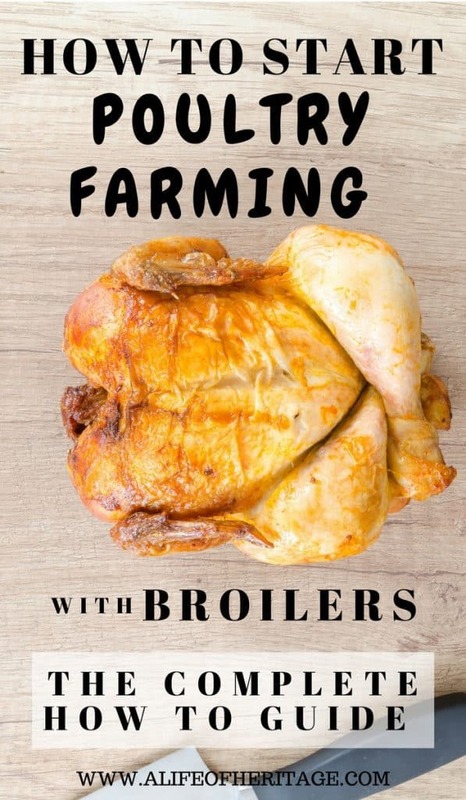 This will be a complete guide looking into all the aspects of raising chickens to sell as broilers. In this chapter, we will be exploring how the average individual can start a poultry farming business without the intention of raising chickens for large-scale commercial purposes. But there are still rules and regulations that apply to commercial operations that will also apply to those with a small quantity of poultry. It is so important for everyone involved, both human and animal, that all manner of high standards are maintained to promote health and vitality in the animals and to prevent disease. 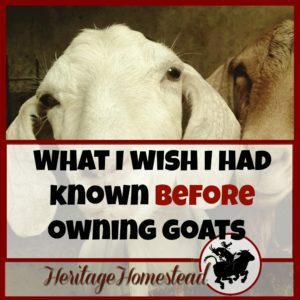 This certainly can be a wonderful business and farm raised chickens are sought after, but it will need to have a secure and well thought out plan before moving forward. Why might this be a good business? It is an ideal income-generating business because of the fast growth and rotation in a short amount of time. Poultry farming is raising any type of poultry (chickens, ducks, turkeys, or geese) to farm for meat or eggs. Guineas and pigeons can also be used but the most popular type of poultry used for these purposes is chickens. This can be done for domestic or commercial purposes. Layers and broilers are probably the most common type of poultry farming. These chickens, called “layers” are produced and raised for their production of eggs. Chickens that are raised for meat are called broilers. This following information will be focusing on meat production. As with any business, it is always wise to start small and incrementally grow as new profits levels are reached. In researching and learning about poultry businesses, you may receive advice to take out loans, which gives the impression that it must start out as a very large endeavor. But if you have raised chickens for any amount of time, you probably have some of the equipment already purchased and remember, it isn’t necessary to start out large. Beginning wisely, without debt, is always a wise start. Before getting started, check local regulations and laws for starting a new business, specifically a meat production poultry business. The information of what is needed can be found at your local extension office or city planning office. Some may have the ability to buy or finance property in a location away from their home. This needs to be considered with a lot of forethought. Chickens are easy to care for but they do take time and effort to feed, water, clean up after, butcher and process. If this will be or will become a full-time job, then it can be the “go to work” kind of job and driving to work and staying there all day may not matter. 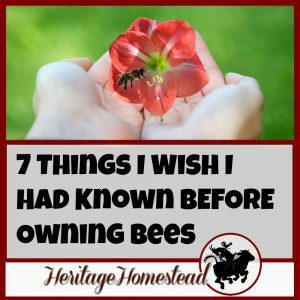 But depending on how many chickens you begin with, another option is to set up a location on your established property to have the chickens close by. They become a part of the daily chores and are close by to keep an eye on. The location chosen is a very important aspect in the overall decisions of raising broilers. Ventilation. It cannot be stressed how important air quality is to the health of chickens. The free-range system is the oldest way of handling chickens. It allows chickens access to the land where they can eat and forage the berries, seeds, insects, and greens. The biggest threat is predatory animals and birds and greater access to infectious diseases like parasitic infestations. This is a great system where chickens are allowed access to free space but it is limited. It gives each bird 20-30 square yards of an outside run. And ultimately gives the birds the ability to move on to fresh ground. This is a newer setup that has become popular in recent years. A movable “chicken tractor” or folding unit confines the birds to one small run. And is moved to a new location, giving the birds access to new, fresh ground each day. These birds are able to access all the herbs, seeds and forage available in that spot. And it gives the added benefits of scratching and manure to the land. There are a few ways that this system is slightly more complex. Food and water will need to be packed to the birds and folding the unit and moving it to a new location is an added task. Also, this type of setup is not possible to use in the winter months up north. This setup will need to give each bird 4 square feet. For 25 birds, this would be making the unit 5 feet by 20 feet total. The inside housing or coop for the birds would then be 5×5. And the outside portion has wire netting on the sides and top. This system is utilized in commercial operations or when a producer doesn’t have adequate land available for keeping the birds contained in any of the other systems. Within this system, it can be broken down into the Battery System and the Deep Litter System. This system uses a “battery” of cages and is usually used for egg farming. Each chicken has their own cage and is totally reliant on food, water, grit, yeast, balanced minerals and nutrients to provide vitamins A and D, like cod liver oil, dried milk powder are useful/and fish meal or other animal protein. They have just enough room to stand up and sit down. The usual floor space is 14 x 16 inches with a height of 17 inches. The cage is made of metal to allow for easy cleanup and to prevent any infestations of parasites. The eggs roll to a gutter and the droppings are collected on a tray below the wire floor. It needs to be in a location that is well ventilated, provides adequate light and is rodent proof. There are a few advantages: any unproductive hen is known and culled. It can be used in places where there are very limited spaces. In tropical locations, it is also very effective because the bird is kept in the shade and is not spending excessive energy staying cool. This system is an effective way to raise chickens that uses an effective tool that will help keep chickens cool in the summer and warm in the winter. The deep litter method will also give the chickens an additional food source but also, if kept dry, will keep the smell of ammonia down and coccidiosis and internal parasites at lower levels as well. Straw, sawdust and leaves and chicken manure are continually added until there is approximately 8-12 inches of litter. Many times, the large pens hold up to 250 birds. The area is cleaned out only once a year and the only ongoing maintenance is stirring the litter and adding to it. This system can also provide another valuable and sought after item: fertilizer. This can also be an income source for those working on making their poultry farm and chickens profitable. How Much Does it Cost to Build a Chicken House? This all depends on how big you want to make it! Adapt. There is so much to learn in a new business. And there are so many mistakes to be made. It is easier to figure out what is going wrong when it’s a smaller scale and that makes it easier to fix as well. And many times “fixing” requires money, which is harder to come by in a new business. But on a small scale, mistakes can be made, the changes can be made and the show will go on without breaking the bank. Viability. On a smaller scale, it is also easier to recognize if this is a business that can succeed and if you even want it to succeed. It’s not fun to continue doing something that isn’t working and you don’t love. Maybe it’s not an option? That’s ok. Sell the last of the chicks and equipment, and move on to the next project. Cost. You won’t have a loan of $250,000+ to figure out how to pay off. The folding unit or chicken tractor can be used in at least the spring and summer months. But depending on your area’s weather patterns it may be able to be a more year around set up. For each tractor, there will be at least several hundred dollars put into it, depending on how savvy you are on finding wood for cheap. Your property may also have a shed or building already built that can be used for these purposes with a run fenced in around it. 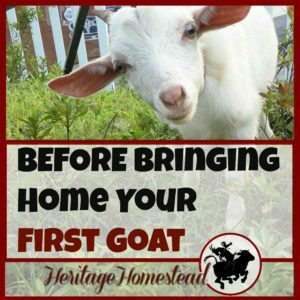 Look around your property and don’t immediately dismiss ideas on how to property or buildings. There are also great ways to create very affordable, movable shelters using pallets, hog panels, and tarp. Getting started with as low of costs as possible is important. As the business takes off, then funds can be set aside to expand, rebuild and grow. This breed is a great choice, actually the only choice, if you desire to grow out chickens in a short amount of time. They will top their weight at 8-12 pounds in just 4-8 weeks. This ability to grow so quickly makes the Cornish Cross a great choice for a broiler. Broiler chickens are birds crossbred from special strains of Cornish and Plymouth Rock chickens. Very strong disease resistance. They have excellent dark and white meat yields and a tender texture and great flavor. This breed will grow to between 10-13 pounds in about 16-21 weeks but they will consume a lot of food to get to that weight. This will probably disqualify them from any commercial or monetizing options. The Delaware males can weigh up to 8.5 pounds and the females will be about 6.5 pounds. They are hardy in heat and cold temperatures and mature rather quickly. They have friendly and calm dispositions and can be a dual purpose bird, also laying jumbo eggs. Buying day old chicks and growing them into full-grown chickens in a short amount of time to then butcher, process and sell means that there will be expenses and needed equipment. Brooders and heaters until the chicks are feathered an no longer need heat, which is usually somewhere between 8 and 14 days, depending on the low night temperatures. Labor will lessen as the chicks grow. But through the entire 8-12 weeks, daily, the water and feed will need to be provided and closely monitored. All of the equipment, ventilation systems if used, and all the equipment should be checked daily. Any malfunction of performance in any area could be a huge setback. Continually monitoring the health of the chickens and removing sick or dead chickens will also be an ongoing task. The largest portion of labor will be the cleanup and removal of manure. The ability to free-range or use movable chicken tractors will lesson this chore. Also, the butchering and processing will take some time, unless it is contracted out to another source or company. Marketing and spending the time finding buyers will also need a large portion of time and mental energy as well. As the business grows, with a good, quality product, and excellent customer care, word of mouth and repeat customers will help keep the chickens sold. Day old broiler chicks can be purchased from any hatchery. Reading the reviews is always so helpful in choosing which one to use because it is the honest opinions and experiences of real people. And the difference in raising broiler chickens, as opposed to long-term laying hens, is that in only a couple of months there is a new brood. If the last hatchery wasn’t satisfactory, another one can be chosen. Proper care of the chicks during the first 14 days is critical. Mortality of chicks is highest in the first few days. The temperature should be consistently and properly managed. Feed and water must be available and fresh. Placing chicks in the brooder should happen as quickly as possible after they have been delivered. If they need to be transported to the brooder, it should be done in the coolest time of the day, while also not allowing them to get cold. Count and record any dead chicks on arrival. Bury them immediately. Weigh 5% of the day-old chicks and record the average weight. Checking the crop of the chicks can be very helpful in determining if the chicks have found food and water and are getting sufficient amounts. This should be done periodically during the first 24 hours after placement by picking several chicks up at random in different spots in the brooding area. Carefully fill their crop. It should feel soft and round and not filled with coarse bits, which would indicate that not enough water consumption has taken place. If the chicks arrive in good health (bright eyes, strong shiny legs, bright, chirping and active), with no abnormalities, the mortality rate should be less than .7% during the first seven days. And in those days the chicks should have uniform growth and reach their target weight. The chickens should be allowed hours of darkness where the lights are turned off. This gives them time to rest, which improves their health, their feed conversion ratio, and promotes a good average weight. These chickens should be fed on a 12 on and 12 off schedule. All access to feed for 12 hours is permitted and no food is fed for the next 12 hours, usually at night. If possible, put the water on the other side of the pen. This will force the chickens to do some “work” for their meal and drink and will help give the chickens a lean muscle instead of fat. The reason behind not allowing access to food at all times of the day is because hatcheries developed these birds for maximum growth, ready to be butchered between 8 to 14 weeks. Depending on the desired weight at butchering, some of these birds are ready for slaughter by 8 weeks. Birds older than 12 weeks old and younger than 20 weeks are called roasters. But this quick growth (which turns 2 pounds of food into 1 pounds of weight) can lead to heart attacks and a condition called ascites, which is a congestive heart failure where fluids build up and cause high blood pressure in the bird. 12 hours off of feed slows down the growth of the birds to prevent them growing too fast and developing these unwanted conditions. So for these quick growing birds, the feeding program will be the most important aspect of this business and about 70% of total expenses will go towards the feeding program. But it’s not just feeding the birds, it feeding them quality feed that will give them the best gain and keep them at their healthiest. Broilers require more energy and protein than other chickens do. Broiler poultry feed is specifically formulated to give the chickens the extra protein and energy they need. Broilers will need even more energy and protein during the winter months and through colder temperatures to not only stay warm but to continue growing. Extra protein can also come from these sources: Fish meal, meat meal, meat, milk, and liver, or various types of corn, vegetables, and grains. Provide the correct levels of the major minerals in the appropriate balance but vitamin and mineral supplementation will depend on feed ingredients used, feed manufacturing practices and local circumstances. When changing feeds mix the old feed with the new feed in a 1:1 ratio to prevent any reduction in nutrient uptake due to the introduction of another feed type. If the desired weight at butchering is to be 7.2 pounds, this will take approximately 56 days. Studies have shown that the optimum duration for feeding starter diet to birds grown to a target weight of approximately 7.2 pounds to be no more than 7 days. This is usually treated with a medication to prevent coccidia infections. This starter feed should be at least 20% protein, with 23% being even better. After 7 days the chicks can be started on a grower feed. And this will usually be fed for 14 to 16 days. You can read a full analysis of the studies conducted and how they came to these conclusions in the link above. It also gives the nutrient makeup of each of the feeds given to the chickens, so it is important to note that feeds with a different nutrient content may have different results. But this study also brings up a good point to actively be checking the birds during the entire growth process. Optimal growth with unnecessary expenditures is of utmost importance for this business to succeed. How much is chicken feed? The cost of feed will vary from location to location and also depends on the distributor used. On average a broiler will consume 9 pounds of feet which equates to about $.30 a pound. 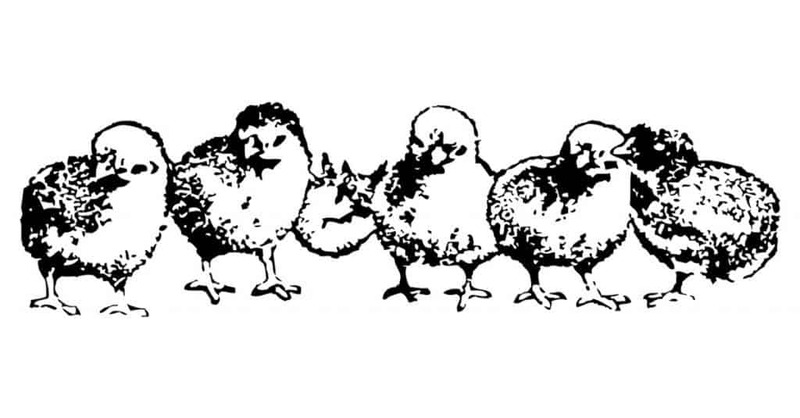 Maintaining a healthy flock is possible but several rules of engagement should be followed. The main source of disease entry can usually be traced back to the ones who are primarily taking care of the birds. If there is an outbreak of disease or death, a veterinarian should be contacted and all of these factors will be looked at: feed, light, litter, air, water, sanitation, and space. In determining sickness, you will be looking for a depressed appearance, abnormal droppings, and respiratory symptoms. In previous chapters of learning how to profit with poultry, it’s been shown how to use the five senses in learning how to market and sell the product efficiently. But these senses can also be used to manage and maintain a healthy flock. You can learn so much about an animal by simply observing on a daily basis the usual and normal actions and behaviors they exhibit. Anything out of the normal can be seen and taught quickly. Keep an eye out for soiled areas from water spilling or leaks and any other problems in the coop area. As you enter the coop, listen carefully. Use deep breaths as you enter the coop area can also indicate problems. These last two senses can be used in the general maintenance of feeding and watering the chickens. Is the feed replenished and of good quality? Is the litter too wet? Squeeze a clump in your hand, it should fall apart and not clump together, which indicates that it is too moist. Taste the source of the water. Does it taste good or does it have any problems? Record keeping is an important aspect of raising broilers. Record the observations and any evident changes. Managing the litter is one of the most important jobs throughout. Evaluate the litter regularly by grabbing a handful and squeezing. If it disintegrates upon release, it’s in great shape! But if it stays compact, there is excess moisture and will impact the health of the birds because of high levels of ammonia, foul smells and respiratory issues with the birds. Determine if you will be butchering or outsourcing the process. Food (not water) should be withheld 6-8 hours before the birds are collected. Any less than six hours will result in food being wasted and any more than 12 will result in weight loss in the birds. Minimize damage to the birds: catch quickly and quietly by the feet or shank. Carry no more than three at a time and don’t pass birds from one catcher to another. If you decide to process the birds instead of outsourcing you will need to be very knowledgeable of the butchering process including: Stun, exsanguinate (bleed out), scald (138 to 145° F), defeather, remove head, neck, and legs (below hock), eviscerate, chill the meat and packaging. It is equally important to follow all rules and regulations associated with butchering the chickens yourself. This is a critical and important step. No new birds should be brought onto the property or into the brooder and coops before everything has been cleaned and sanitized. After the birds are removed, immediately apply an insecticide and clean items through wet and dry cleaning. Collect the litter in feed bags and sell the litter. All of the feeders and waterers will need to be soaked, cleaned and allowed to dry. Clean the outer wall. And sprinkle lime on a lightly sprinkled with water floor. After everything in the building is cleaned, it should then be disinfected. Repair and provide maintenance to anything that has broken or is not working properly. Sometimes getting chicks to their ideal weight is the easy part. Marketing and selling them is a whole different matter that shouldn’t be taken lightly. Selling any product takes diligent time and effort. It is so important that buyers are found before the poultry has reached their optimal, market weight. Every ounce grown over the ideal weight is a direct hit on the bottom line of the business. Word of mouth. This is always an ideal way to get customers. Happy customers talk and good talk brings in business. For every customer, document their name, address, phone number and email address. This will give you contact information to let them know when more chickens are available. Repeat customers are awesome! Advertise in local newspapers and on the local radio. Post on Facebook on personal profile and in local groups. Craigslist can be a great way to get the word out. In the end, communicating with your customers and potential customers is critical. Ask them questions, survey them and find out what they are looking for. How big of a bird is ideal? How many chickens do they prefer to buy at one time? If a customer is no longer buying, why? What a lot of work has gone into getting the chickens to the point of marketing! But why does it not work out sometimes? As with many businesses, poultry farms fail. Buy why? And how can you avoid failure? Do your research! It is absolutely necessary to know if you have a supplier for chicks, access to bulk feed, adequate facilities, and most importantly if there is a market for broilers. Lack of disease control. If there is no system set up to prevent come and go vehicle and foot traffic onto the property and into the coop, disease can spread very rapidly and with great force and finality. Improper housing and facilities. Without proper control of temperature, air flow, floor space and feed, it will be impossible to succeed. Marketing flop. It isn’t enough to have chicken for sale, there is a whole new dimension to getting the word out and finding buyers, and the marketing aspect of this business must not be forgotten. Not investing. All businesses need to be invested back into. There will be maintenance issues that arise and expanding needs investment as well. A solid business plan in place is so important with investing planned into the program. Improper training and lack of knowledge. Also important in this business is doing due diligence in researching all aspects and understanding how it should be done and why. Not taking advance orders. Knowing how many birds are sold, gives the ability to plan ahead with proper numbers of chicks, feed, vaccinations, and planning. Unexpected costs. With any business, there are always unexpected costs and without forethought, planning and a reserve of cash for such events, they can be debilitating. It is imperative to keep accurate records through the entire process of raising broilers. 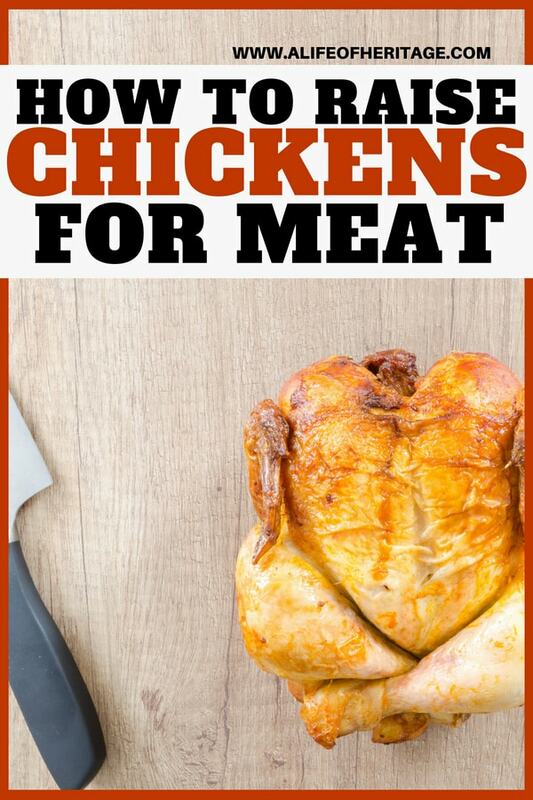 It is estimated to be about $1.70 a pound to raise a broiler. To make an income, it is important to price properly. This is why doing advanced research is important. What are people willing to pay for one chicken in your area? But $3.50-4.00 a pound is reasonable. There is a growing understanding and desire for humanely raised, healthy chicken. People are beginning to realize how important it is to know where the food they eat comes from. Local, fresh food is becoming the new trend and for a small, local chicken producer, that is good news. There is a lot to think about before endeavoring into a broiler poultry business. Give it considerable thought and research. Keep good records, work hard and grow good chicken!